New Restaurant: Blaze Pizza Opens in SF & Free Pizza! Hey y’alls! Blaze Pizza is coming to San Francisco! You may remember when their Fremont location opened last year and they gave me some sweet vouchers for free pizzas. 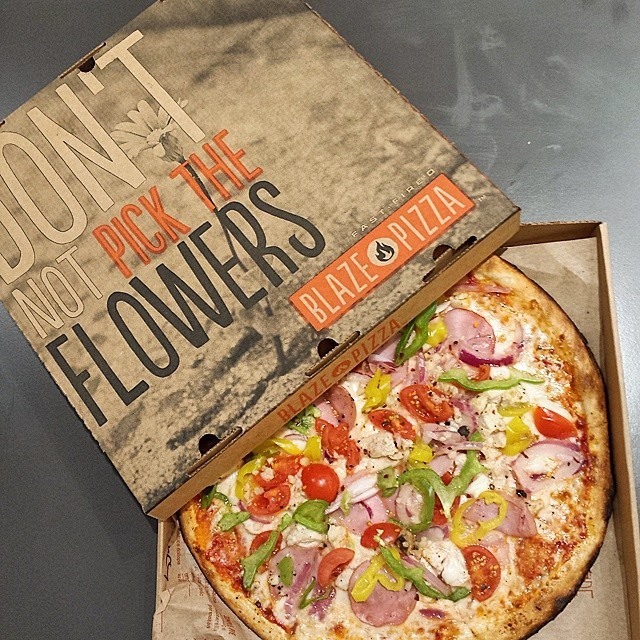 Well, this weekend you don’t need a voucher — come build-your-own FREE artisanal pizza on Saturday, March 28th from 11:00 a.m. to 11:00 p.m. in exchange for simply following Blaze Pizza on Instagram, Twitter, or Facebook. The new digs are at Stonestown Galleria over near SFSU, and this is their inaugural SF location.